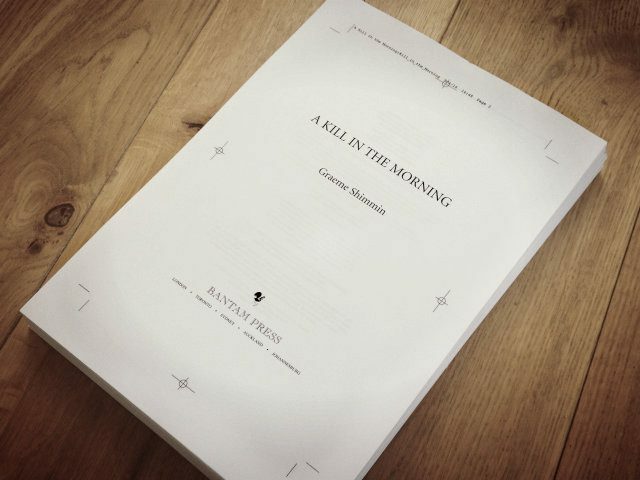 I’m currently proofreading my novel A Kill in the Morning. It’s very exciting because it’s my last chance to make sure the novel is 100% right before it’s published. What’s A Kill in the Morning about? An action-packed, fun spy thriller. It has been compared to Robert Harris’s Fatherland, Alistair Maclean’s Where Eagles Dare and Ian Fleming’s Thunderball. And not just by me. I entered A Kill in the Morning for the Terry Pratchett prize for unpublished speculative-fiction novels in 2013. So yes Terry Pratchett has read my novel! It was shortlisted, and one of the judges, Simon Taylor, Editorial Director of Transworld, was suf­fi­ciently impressed to enter A Kill in the Morning into the acquis­i­tions pro­cess at the pub­lish­ing house. This lead to Transworld offering me a pub­lishing deal. 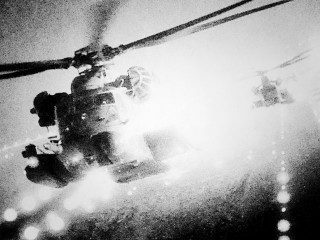 Want to Read A Kill in the Morning? It has more helicopters. You can never have enough helicopters. No, it’s a cross-over between a spy thriller and an alternative history novel. That’s quite unusual, most alternative history novels are military or political. Stories set on an Earth that might have been, or might yet be, one that has gone down a different leg of the famous trousers of time. Perhaps the best-known Alternate History novels are Robert Harris’s Fatherland and Len Deighton’s SS-GB, both of which are set in a world where Nazi Germany won the Second World War. A Kill in the Morning is different because it’s set in a world where the Second World War ended in 1941 with a peace treaty and now there is a cold war between Britain and Germany. Is alternative history the same as revisionist history? Alternative history is a sub-genre of speculative fiction (like Steampunk or Post-Apocalyptic Fiction). Revisionist history is a pseudoscience practiced by holocaust deniers and other neo-Nazis attempting to ignore reality and minimise the horrifying nature of Hitler’s regime. If you look around my website you’ll see I love classic spy thrillers like The Eagle Has Landed, The Spy Who Came In From the Cold, The Day of the Jackal and The Riddle of the Sands. I also love alternative history novels, and Fatherland is one of my favourite books. So really I just write the sort of thing I like to read. For more how I came to write the stuff I do see article about my influences. I try to write first thing in the morning. Get up, have a cup of tea and write for a couple of hours. When I do it works well. Writing first thing in the morning whilst still half asleep is good for imagining things. I write at home, mostly, although I have done some good work on long train journeys. My main barrier to writing though is laziness/procrastination. I find once I start the words come pretty easily, and time goes quickly. One of the worst problems is stopping to quickly check a fact on the internet. I write almost entirely on to the computer, so it’s all too easy to do, and two hours of research later I get back to writing. What I’ve come to realise is that there’s a very fine line between research and wandering the Internet. My strategy to avoid the worst time-wasting aspects of research is ‘don’t research when you’re supposed to be writing’. Surf away on a ‘research day’ but when you are unsure of a fact whilst writing, just make a note and check it later. As laziness and procrastination are my main problems, anything that forces me to get on with writing is good. I’ve posted work in progress on alternate history.com and YouWriteOn, it really helps when people are interested in the story and are demanding the next chapter. If procrastination has got the better of me, I end up writing late at night, feeling bad because I haven’t done anything all day. Late at night is more for grinding out something that needs finishing so I can move on. Under pressure though I’ve worked all week with nothing but odd trips to the corner shop for bread and milk. Do you write in a structured or unstructured way? I’ve tried both. I wrote Angel in Amber in a very structured way. When I started A Kill in the Morning I had a vague idea and some world building but I wrote the first half of the plot without worrying about where it was going. Then I stopped and wrote a plan for the second half. Compared to most writers I’m very structured though. I’ve written a lot about plotting e.g. Writing Spy Fiction with an Unputdownable Plot and Plot Ideas: How to Discover a Blockbuster. Plotting is probably my strength as a writer. My prose is straightforward and accessible – which suits the genre. How do you write each chapter? My writing tends to follow a process I call ‘accretion’. First I work out what’s going to happen in the chapter. That might give me about a page of notes and maybe a dozen things that are going to happen. Then I write fragments of dialogue, description and bits of research copied out of books or the internet – anything that seems like it might be vaguely relevant to the chapter. At that stage it’s what is technically called “a mess” and it looks like it will never come together and I should just give up. But instead, I go over what I have again and again and again adding sentences here and there, deleting bits that don’t work, cut and pasting sections around to make them work better and joining up the fragments. I let ideas occur to me while I’m writing and I normally add them. I also have a separate document I call ‘spare bits’ where I write any good phrases or quotes or anything that I find interesting or amusing that doesn’t fit in the current chapter. 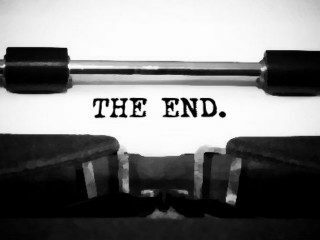 At some point a miracle happens, it all suddenly starts ‘flowing’ and then a few more run-throughs and it works and the first draft is done. How much do you write a day? Do you ever get stuck? I can write 500 words a day easily. 1,000 words a day is doable. Under extreme pressure and ‘on a roll’ I can write 2,000 – 3,000 a day. If I feel like I’ve got nothing to write, what helps me to get over the barrier is research. I read non-fiction or look at the internet about related topics for inspiration. Research sparks an idea and I can get on with it again. I was asked to answer these questions about my writing by Sarah Jasmon, Kate Lord Brown and Matt at the Book Blogger, as part of a chain of connections from writer to writer. 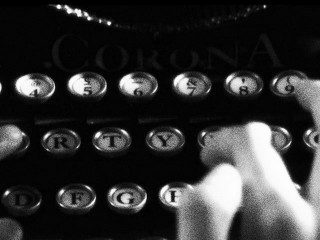 Each writer answers the questions and then links to the next writer in the chain. Craig Pay is a sci-fi author who has had several short stories published. He runs the Manchester Speculative Fiction writing group and has a eponymous blog.